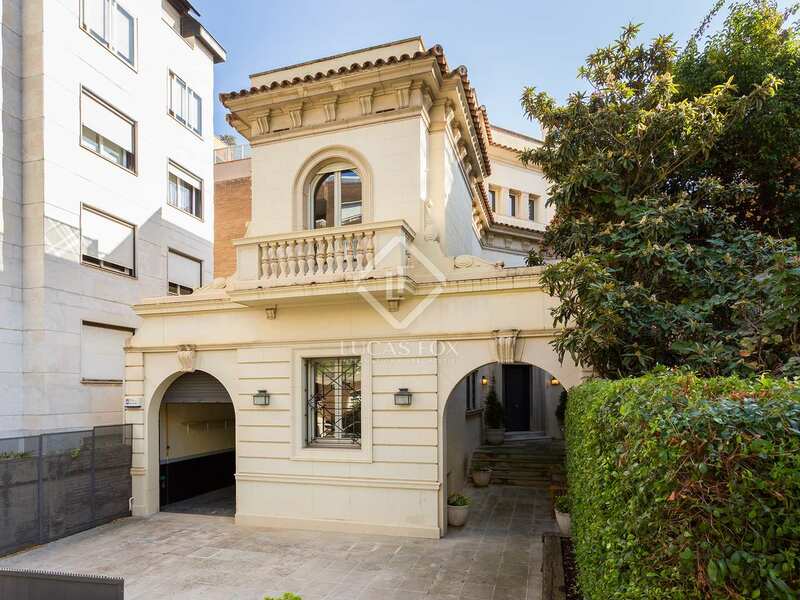 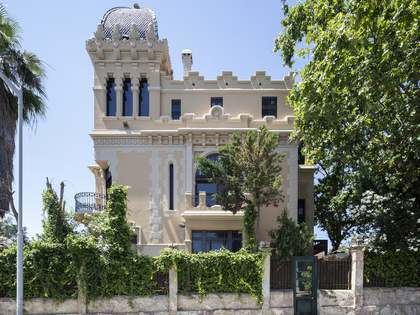 This wonderful family home is located in the exclusive Tres Torres neighbourhood of Barcelona's Zona Alta. 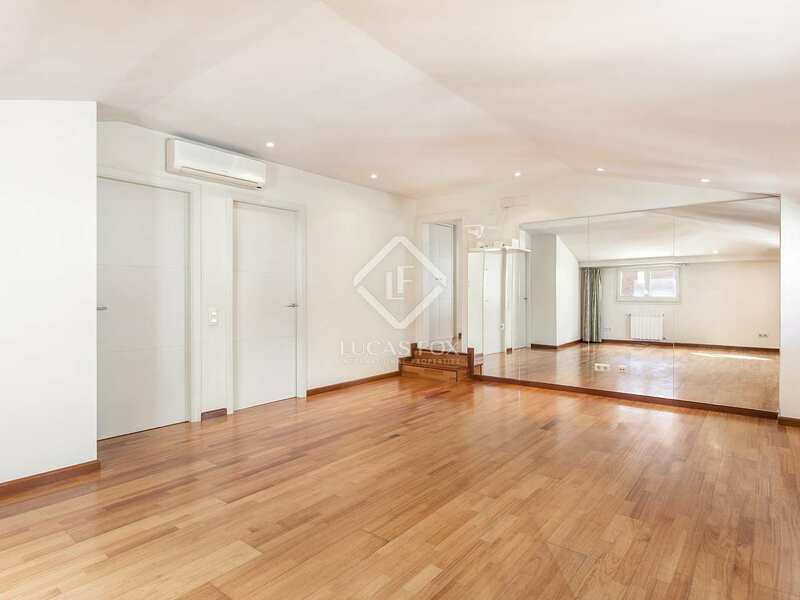 Despite the peaceful, residential setting, the rest of the city can be easily accessed via public transport. 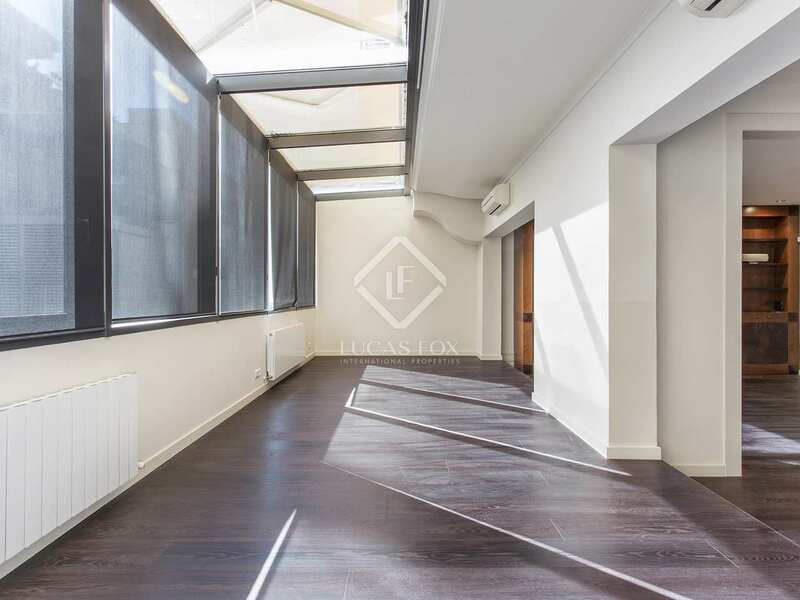 The property is distributed across 4 floors. 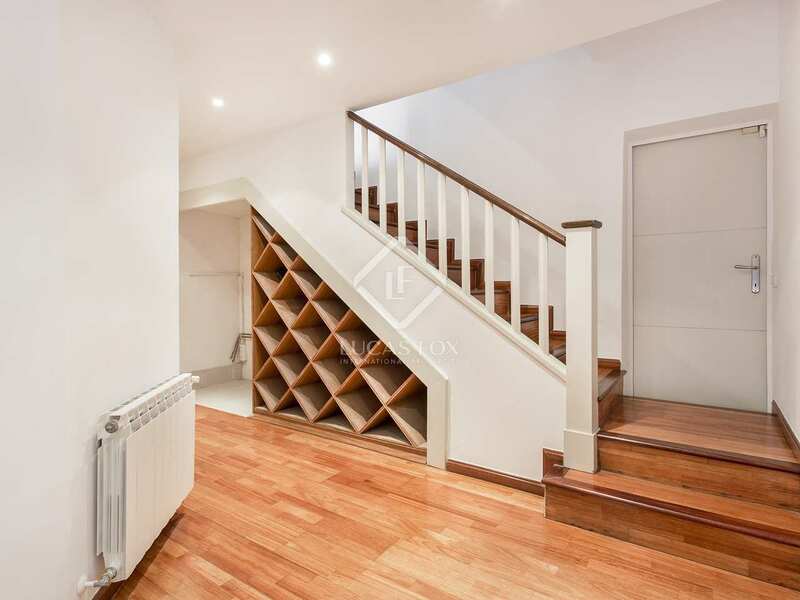 The lower floor is composed of a spacious living area and kitchen, utility room, toilet and wine cellar. 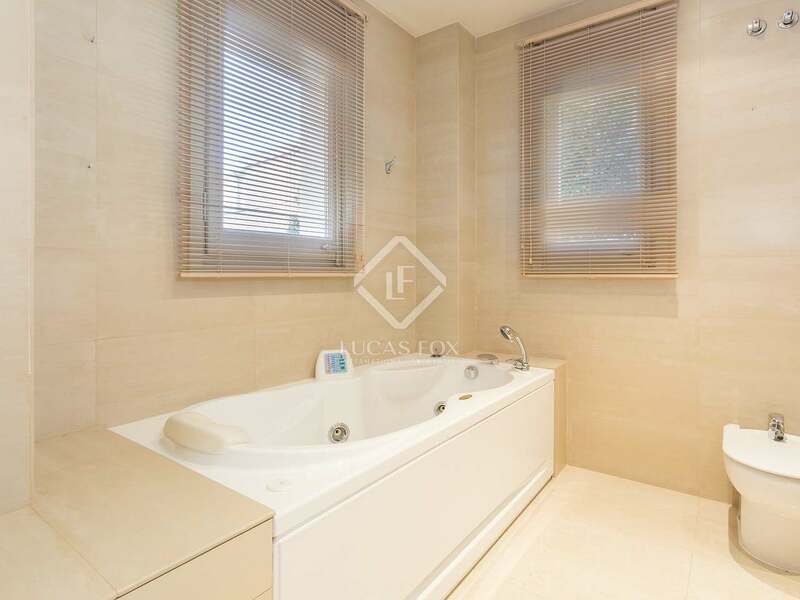 There is also a double bedroom with en-suite bathroom ideal as a service bedroom. 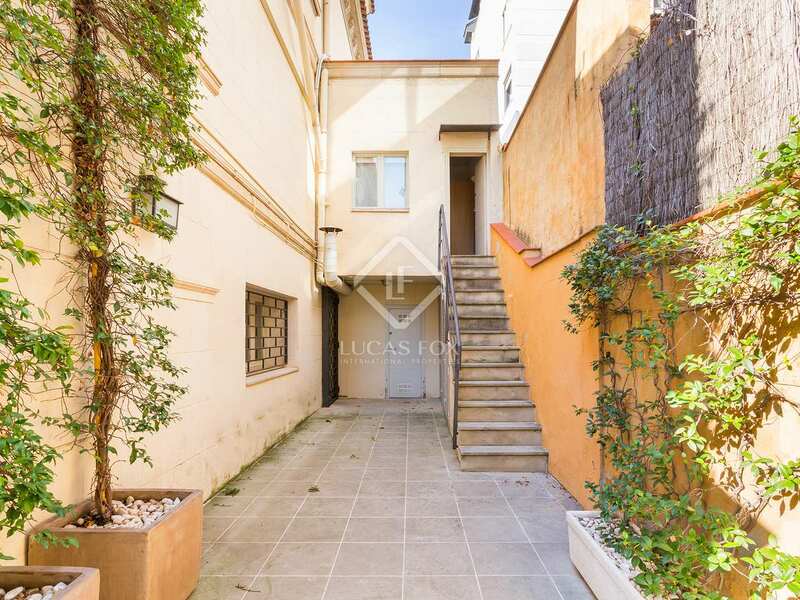 At this level there is covered parking spaces for 2 cars. 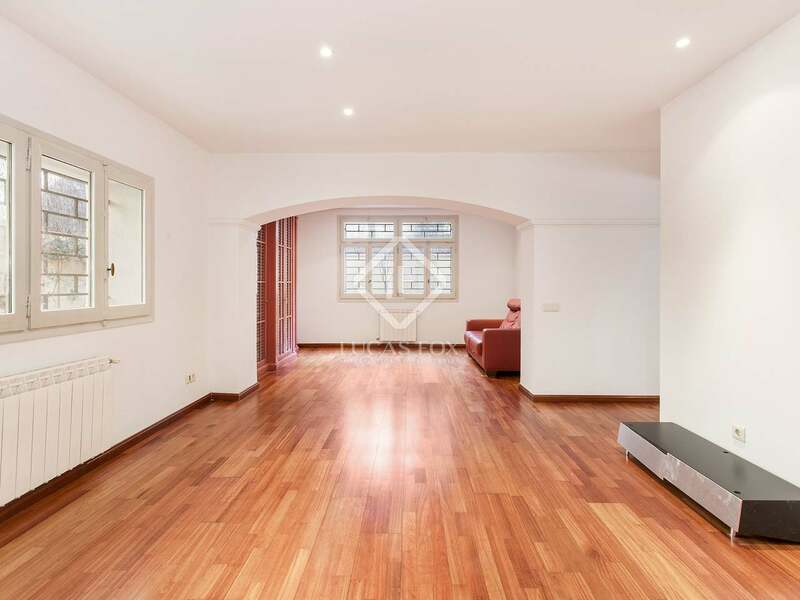 At ground floor level a hallway leads to, on the left hand side, a library and guest toilet and to the right a dressing room and spacious living-dining room with large window and a covered terrace. 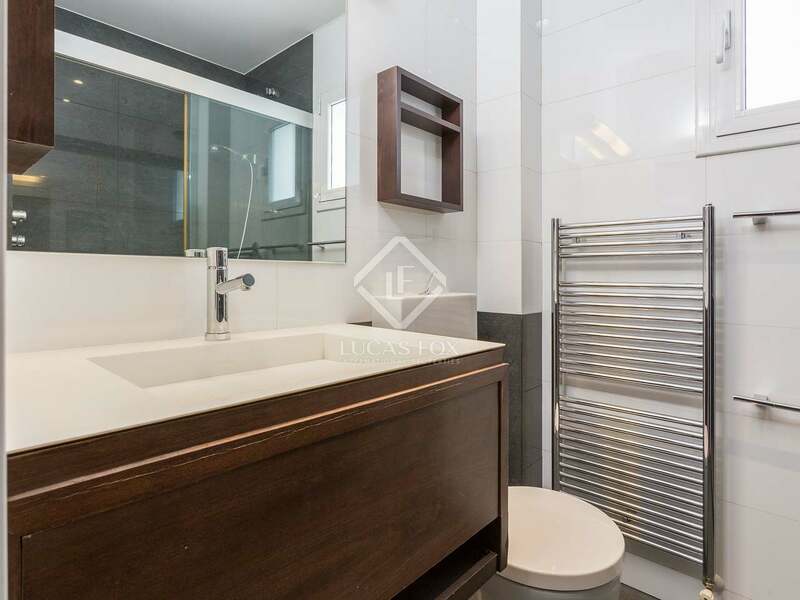 Move up to the first floor and we find the spacious master suite with a dressing room and bathroom, complete with Jacuzzi separated by a corridor from the second double bedroom, also with an en-suite bathroom. 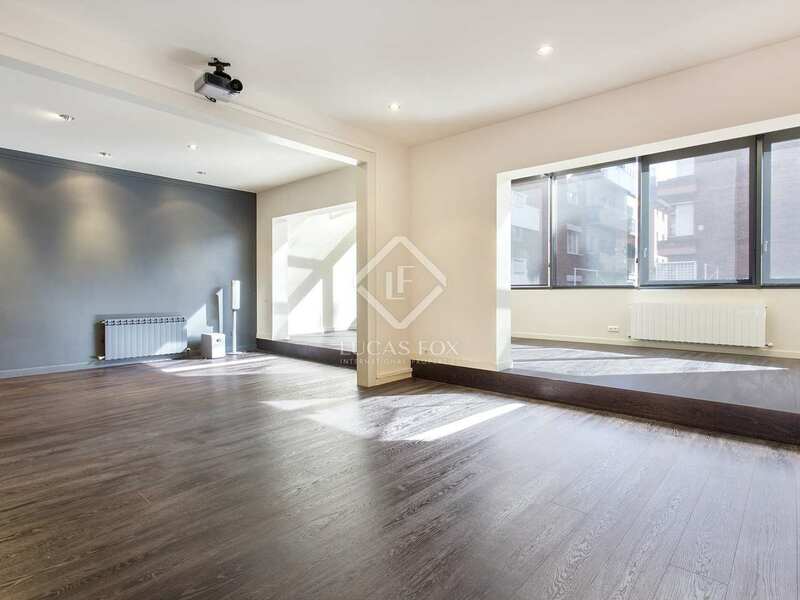 The second floor is comprised of 2 double bedrooms, 2 bathrooms and a multi-use room which could be converted into a further bedroom or living area. 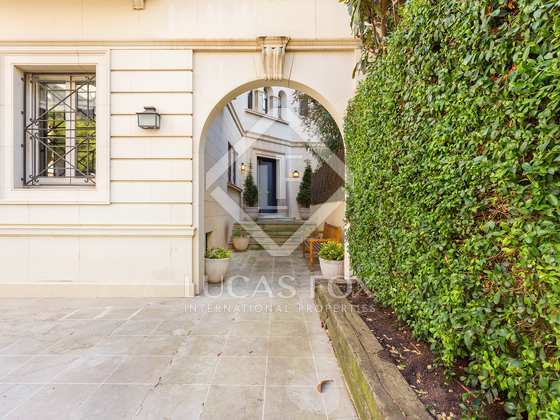 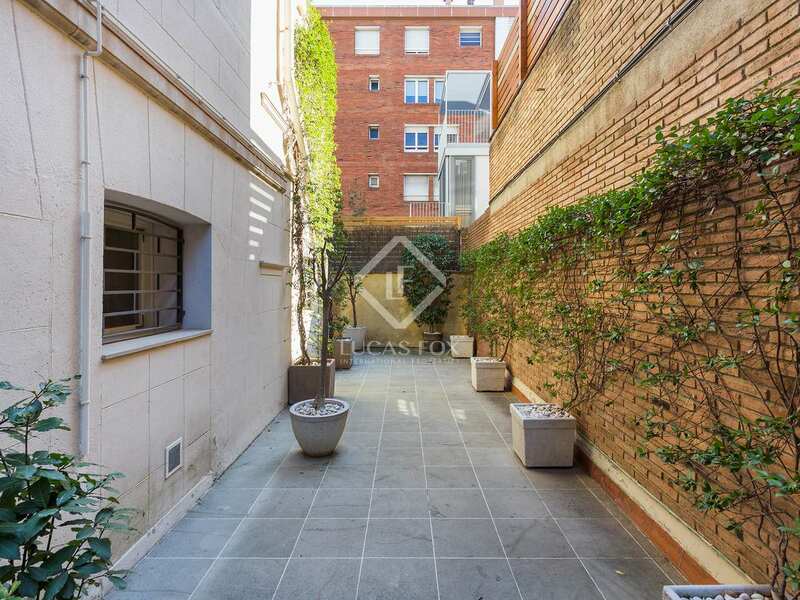 At this level there is an exit onto a 25m² terrace looking out across Calle Rosari. 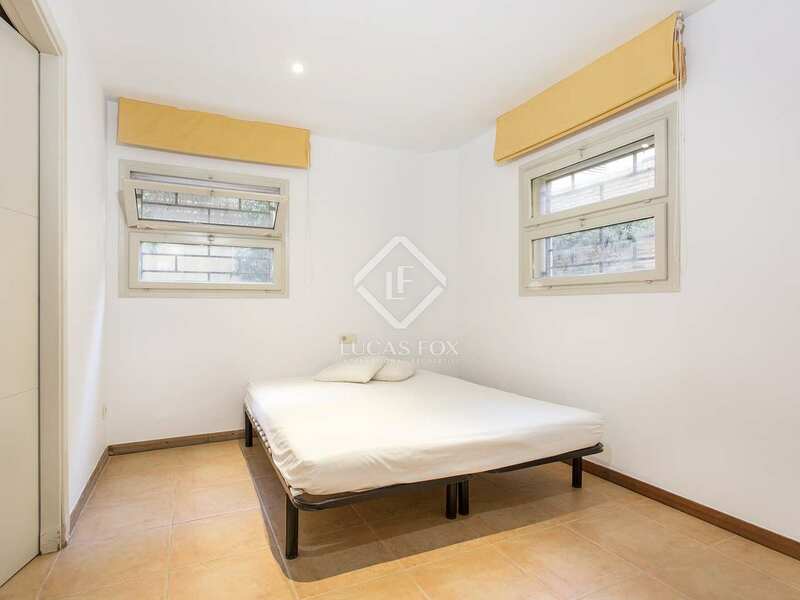 Although the property currently has 5 bedrooms, there are various rooms which could be converted into further bedrooms depending on requirements. 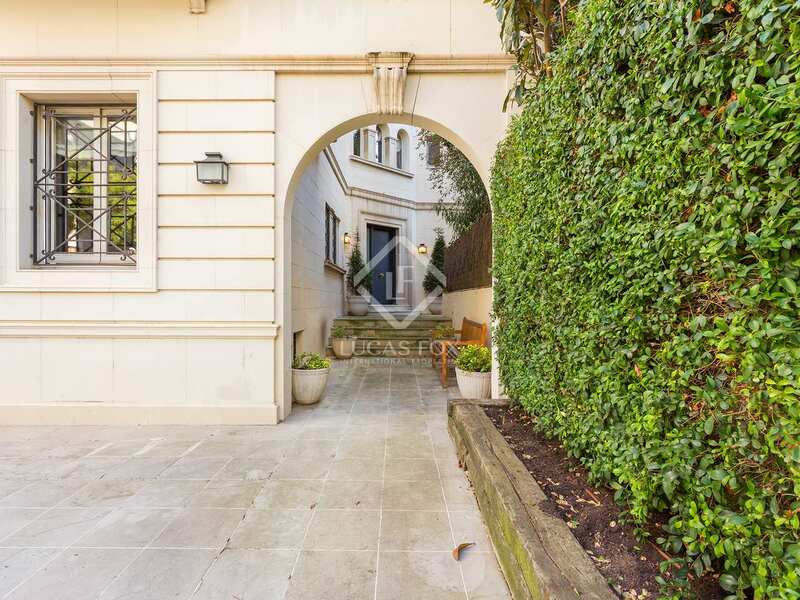 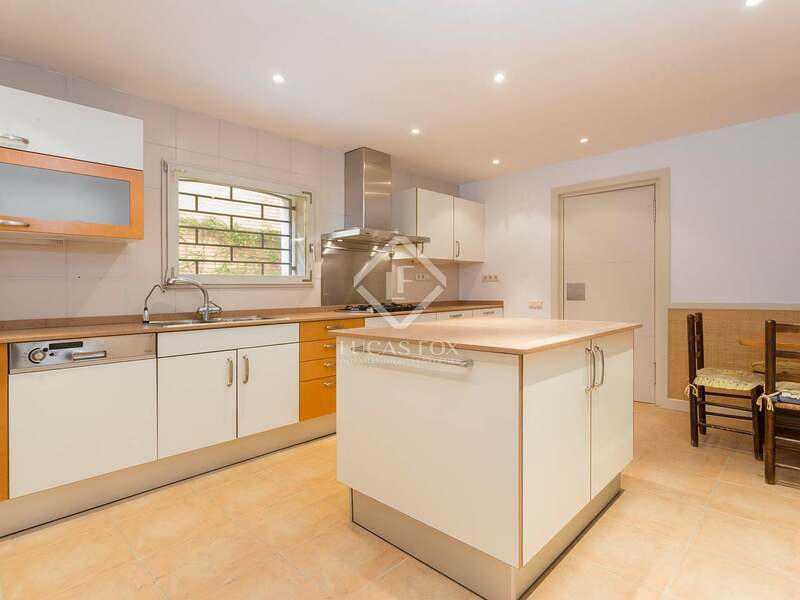 Furthermore, the property would benefit from some updating to bring it to its full potential and there is plenty of potential to modify the layout according to individual needs and preferences. 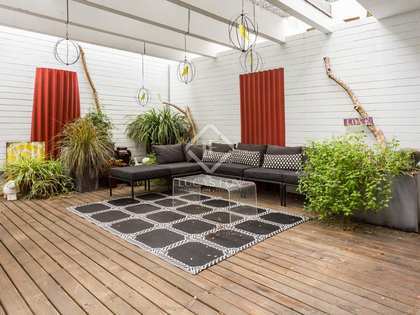 Surrounding the house there is a patio which could be changed into a garden by adding grass and flowers to create a tranquil oasis. 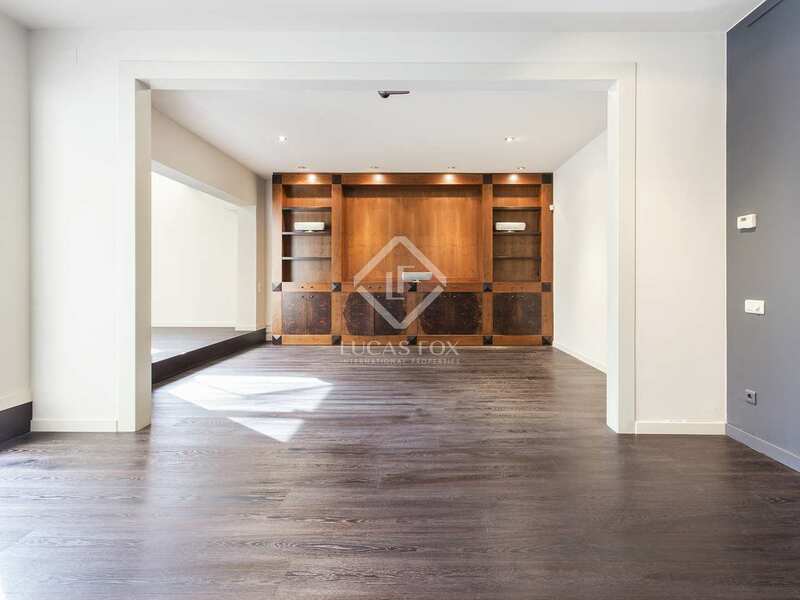 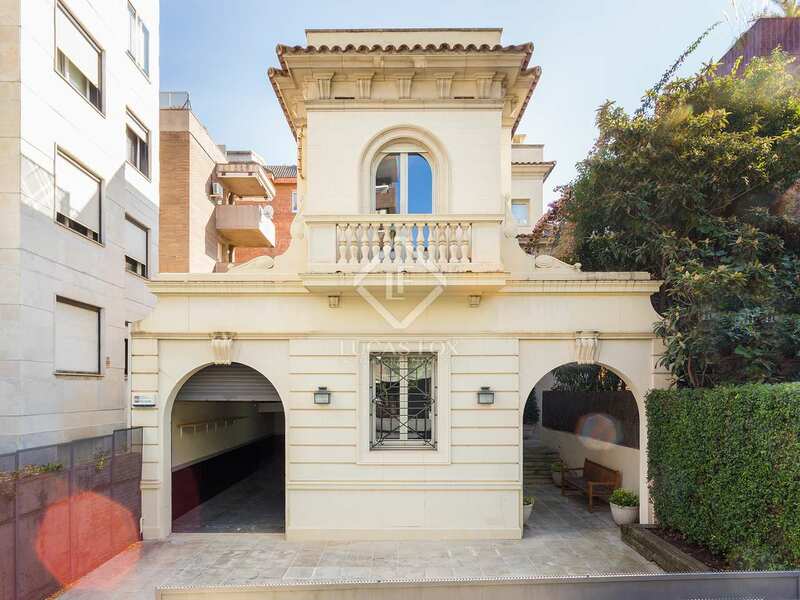 Given its location close to Cinesa Diagonal and international schools, the property is perfect for families as well as a luxurious second residence in Barcelona. 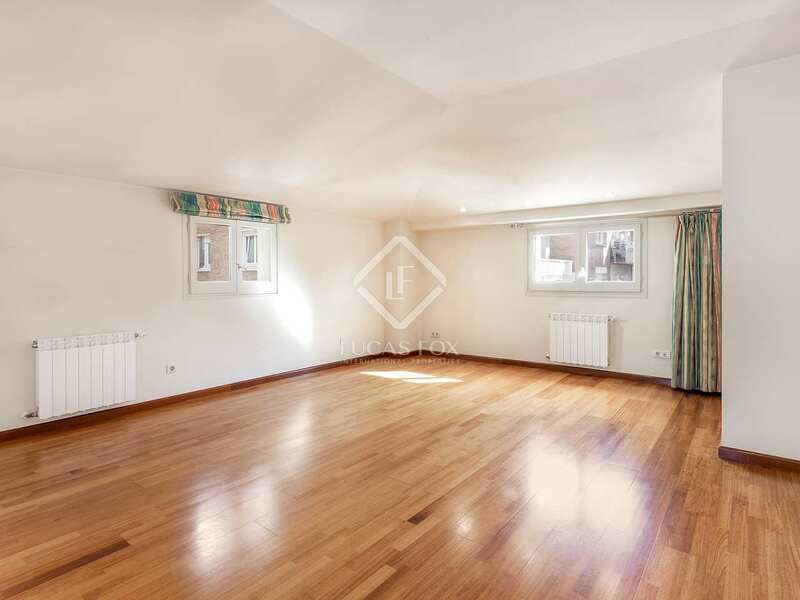 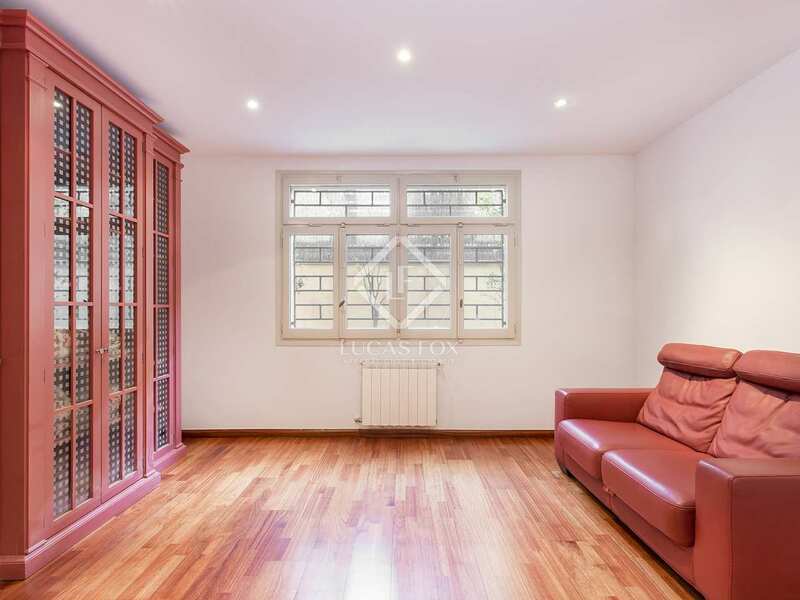 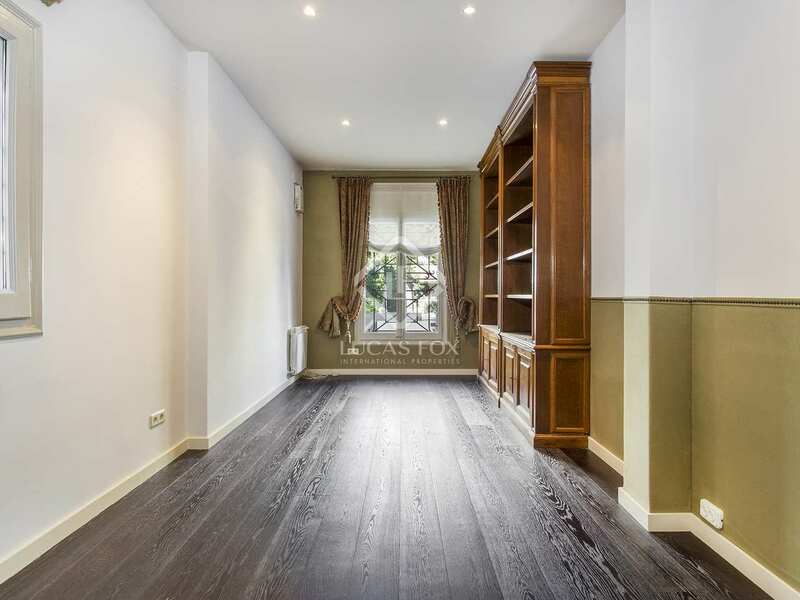 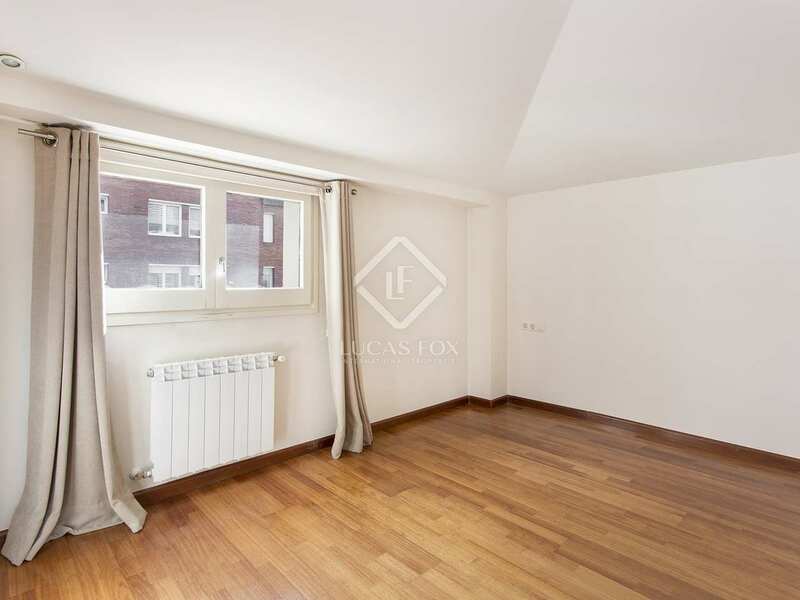 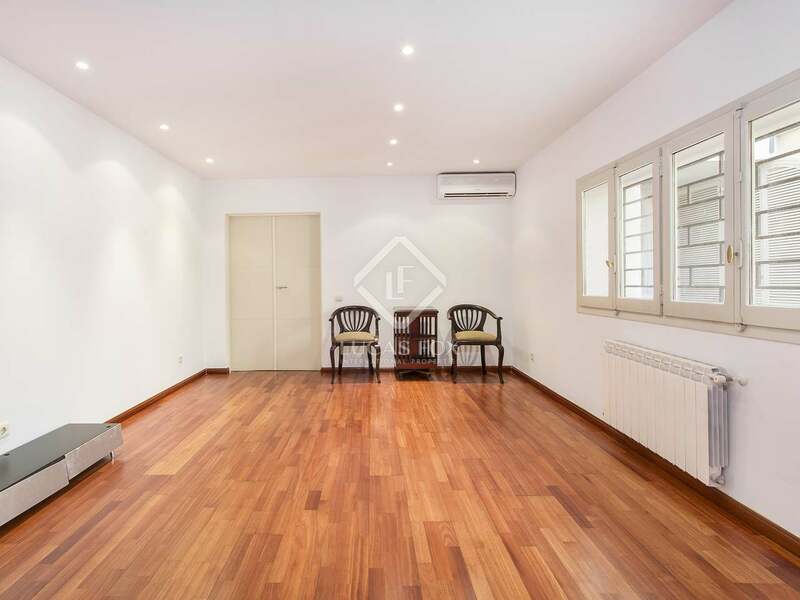 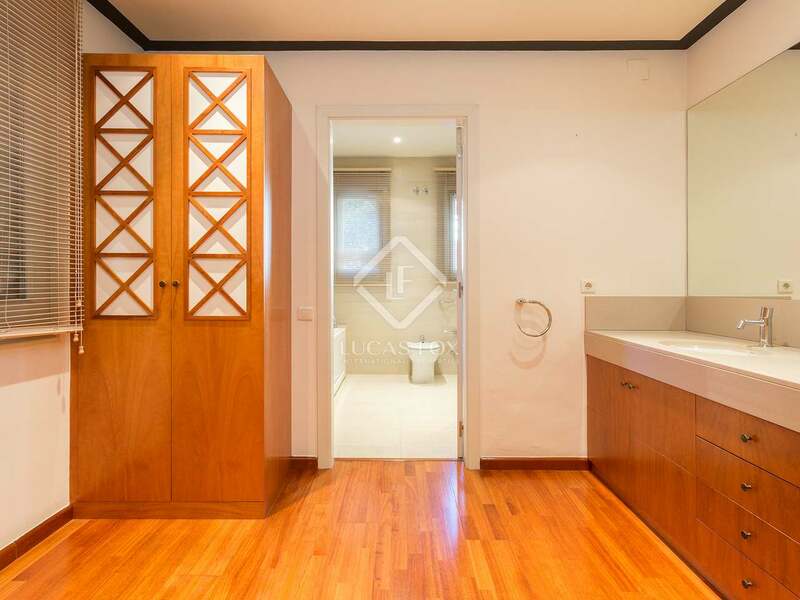 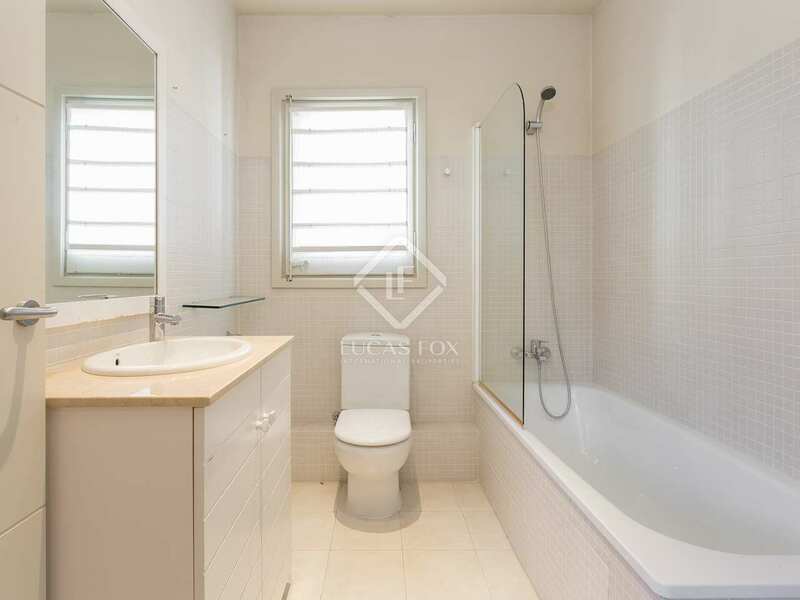 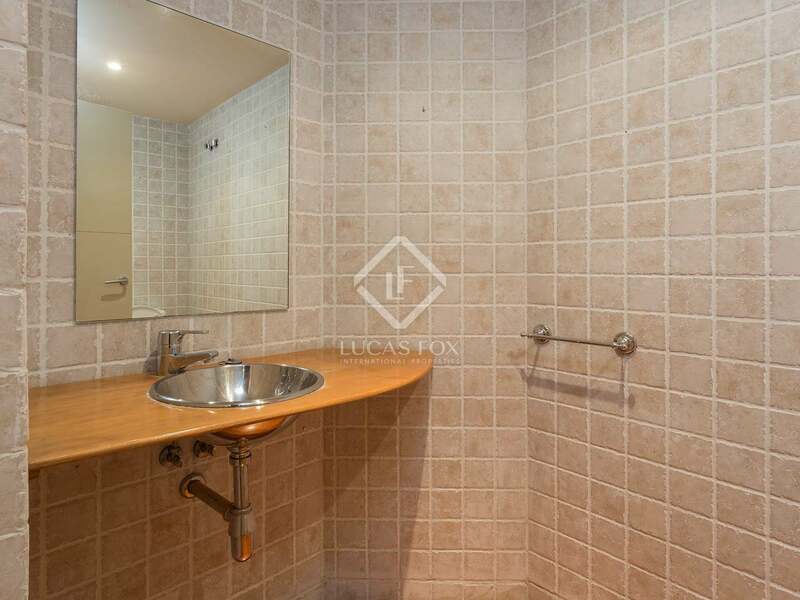 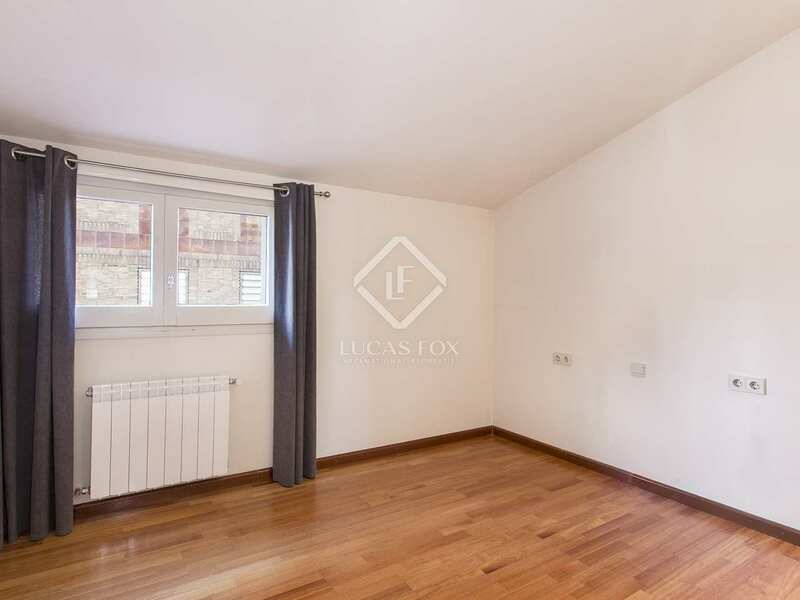 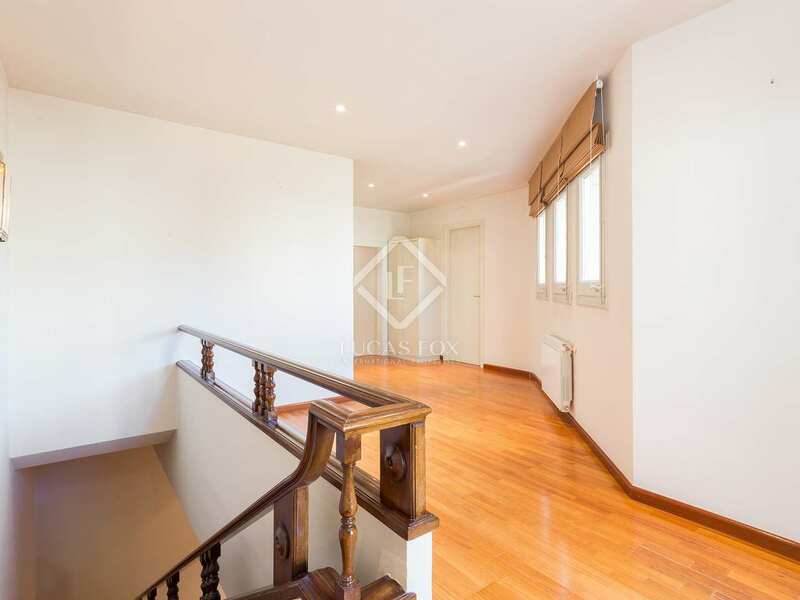 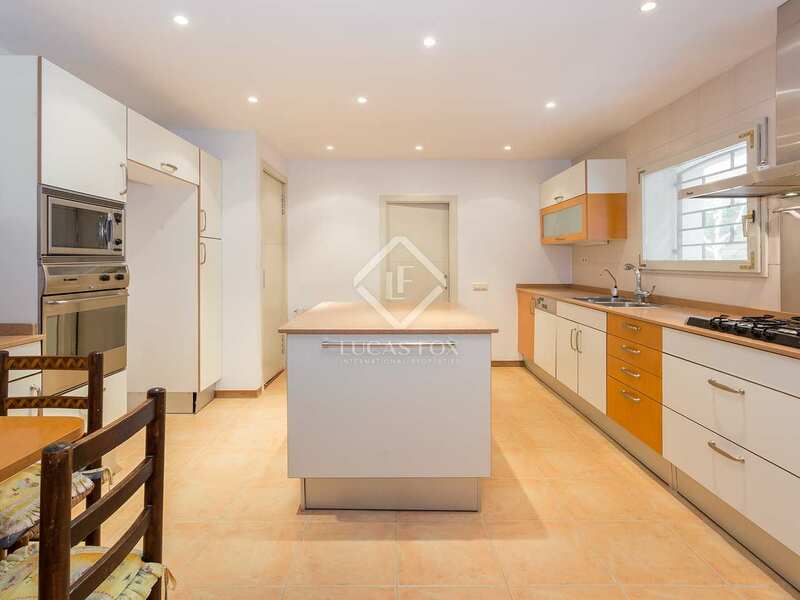 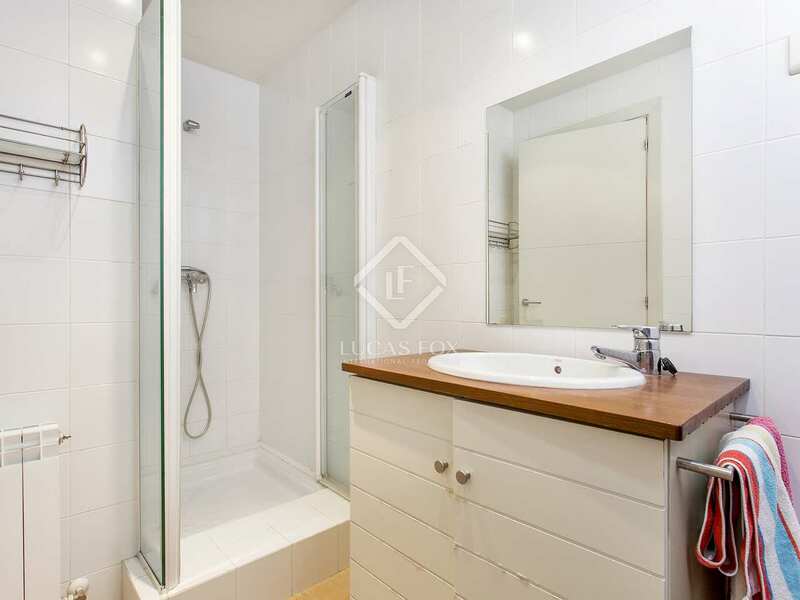 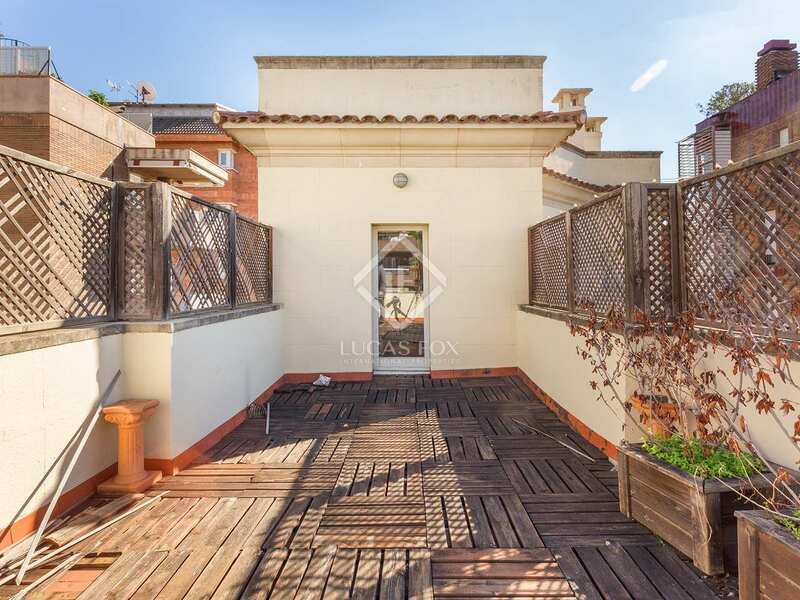 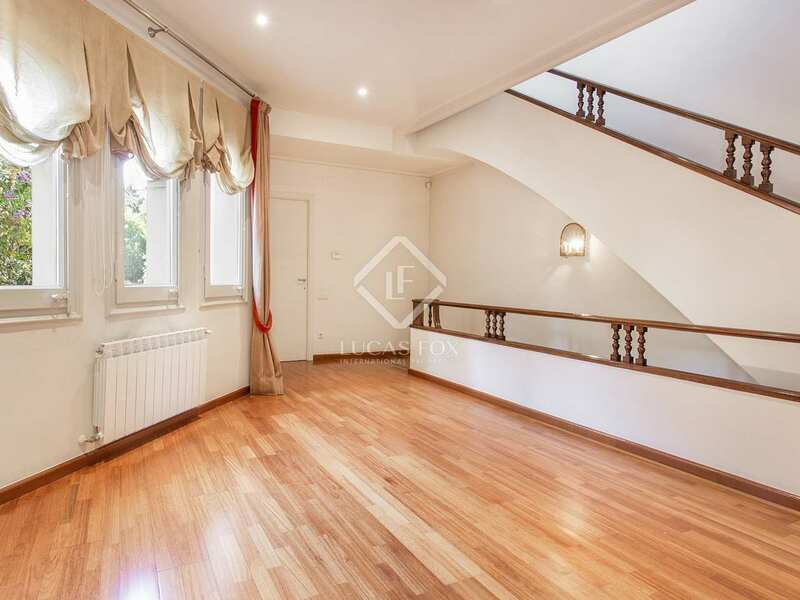 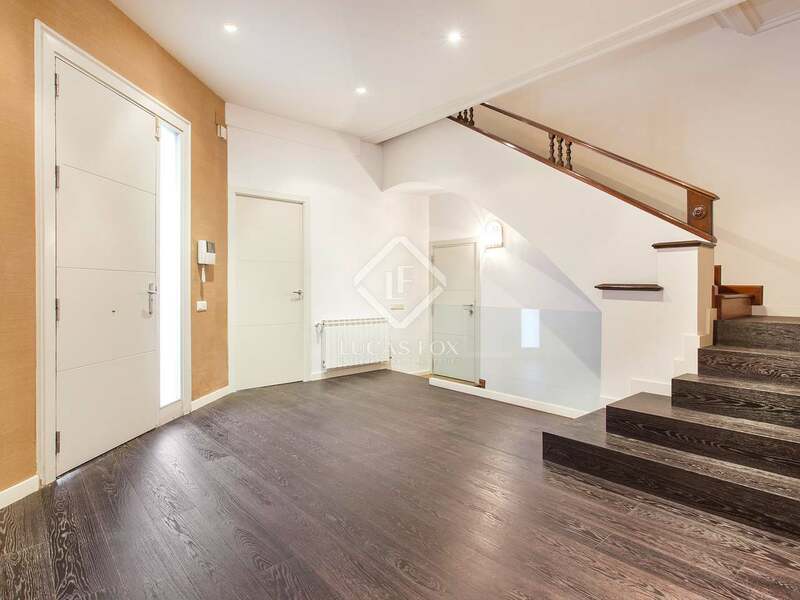 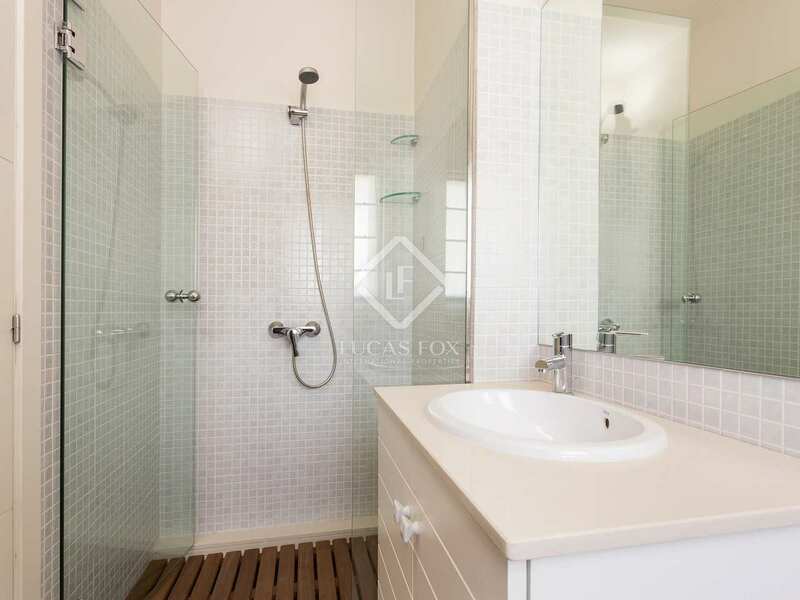 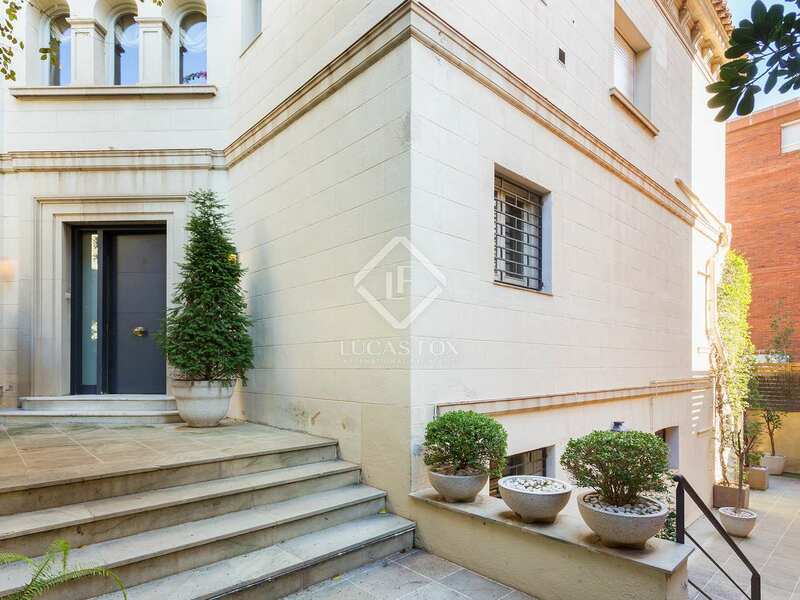 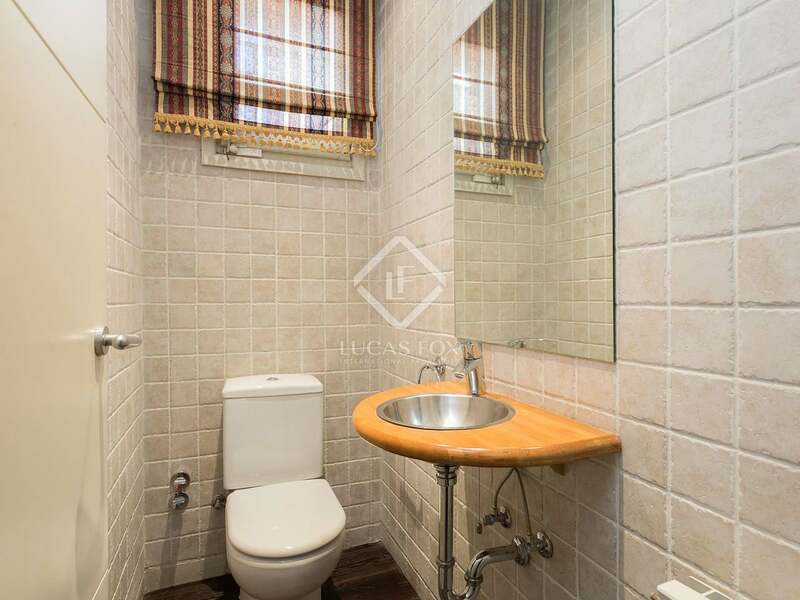 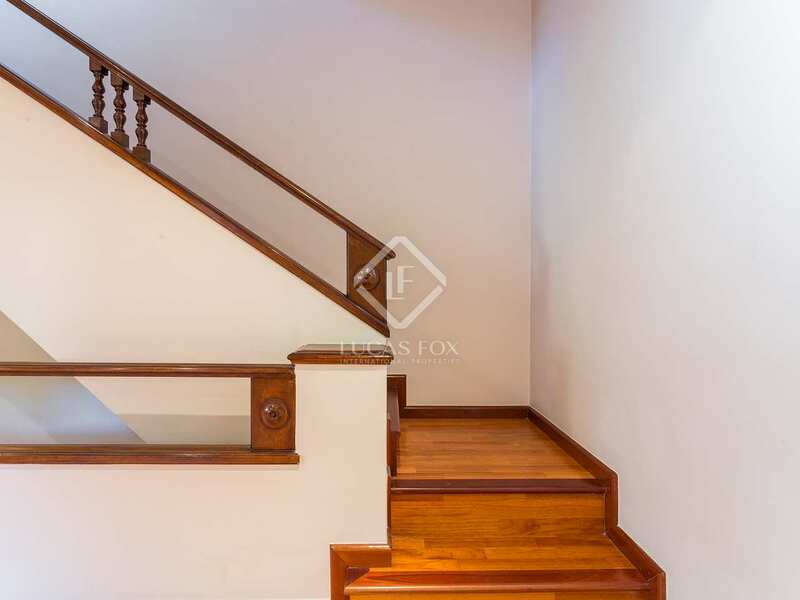 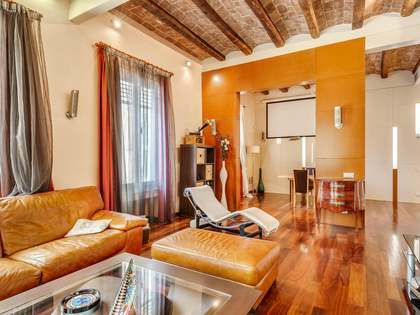 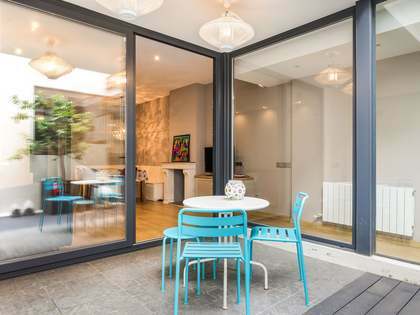 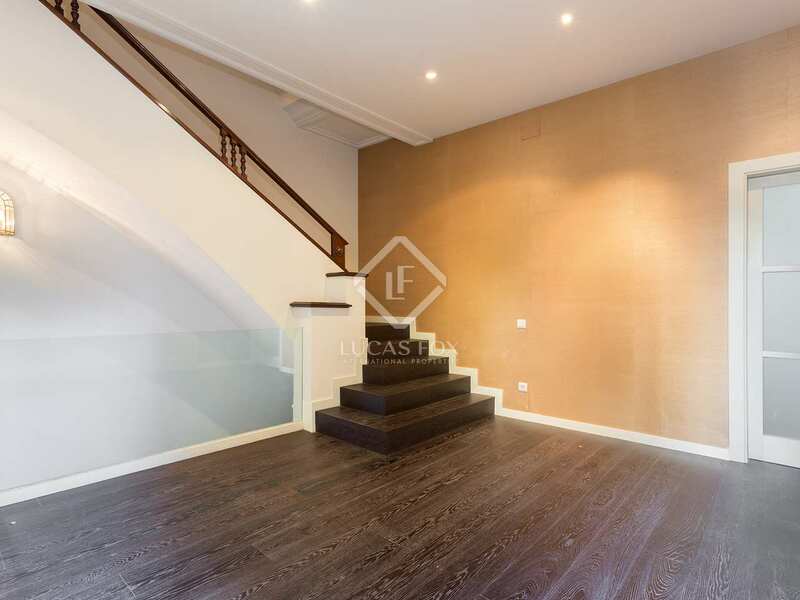 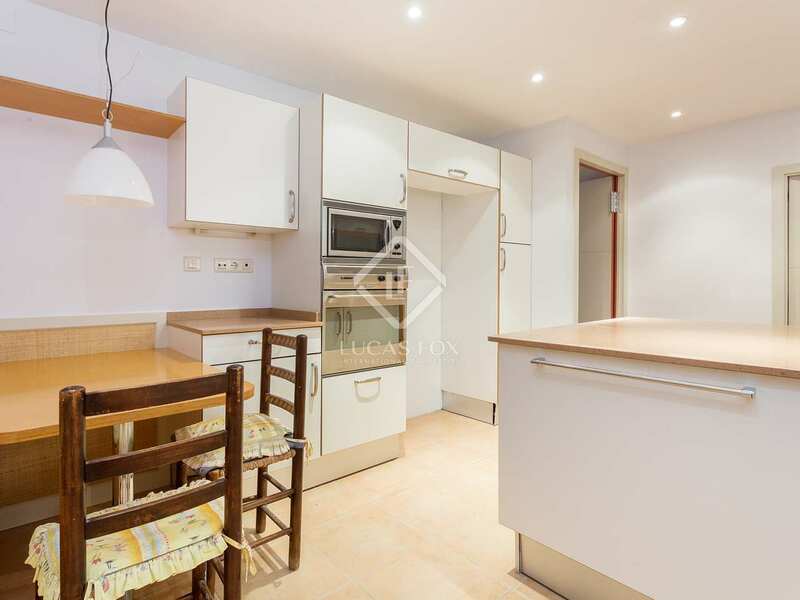 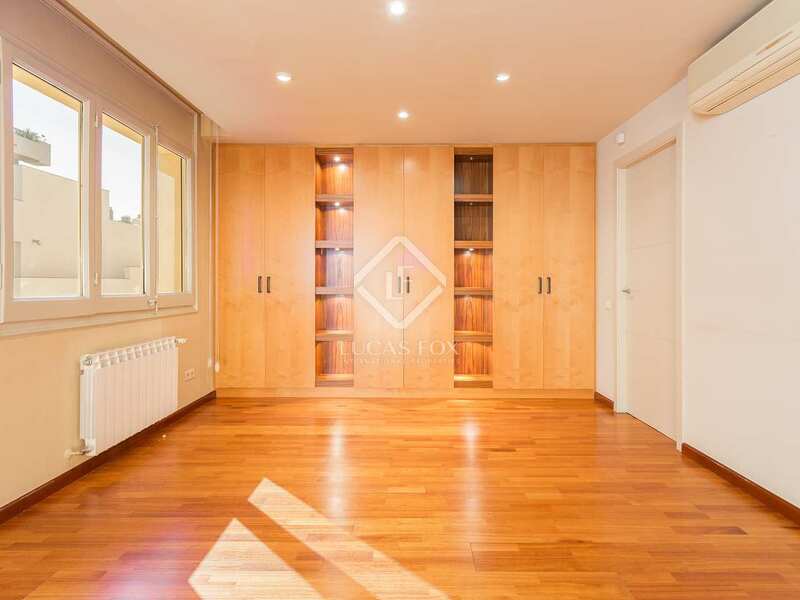 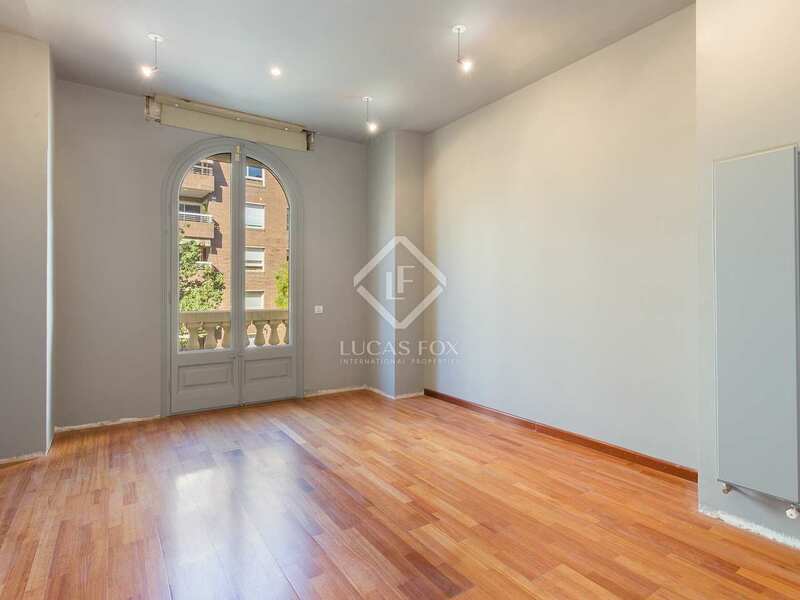 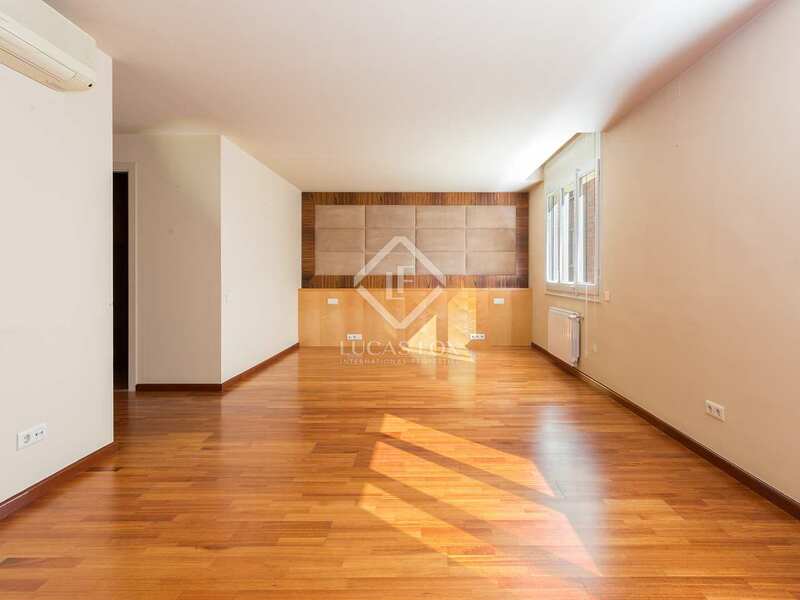 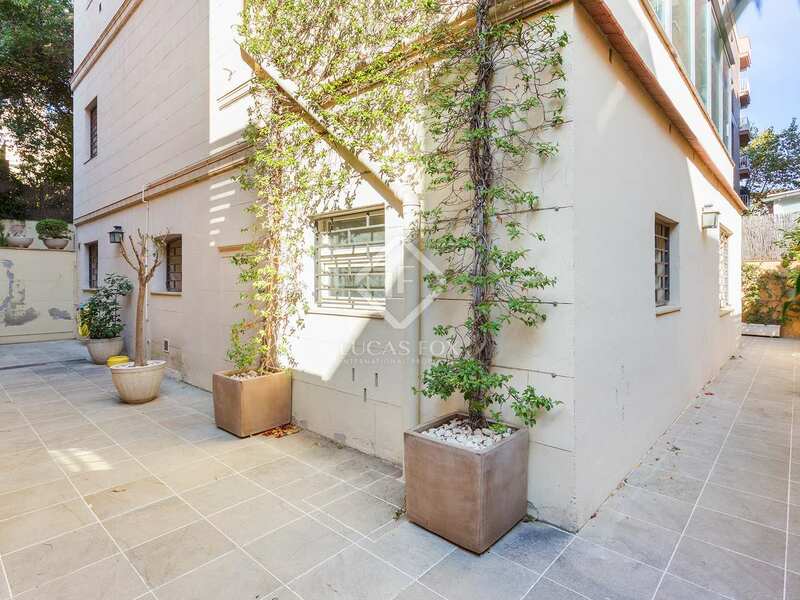 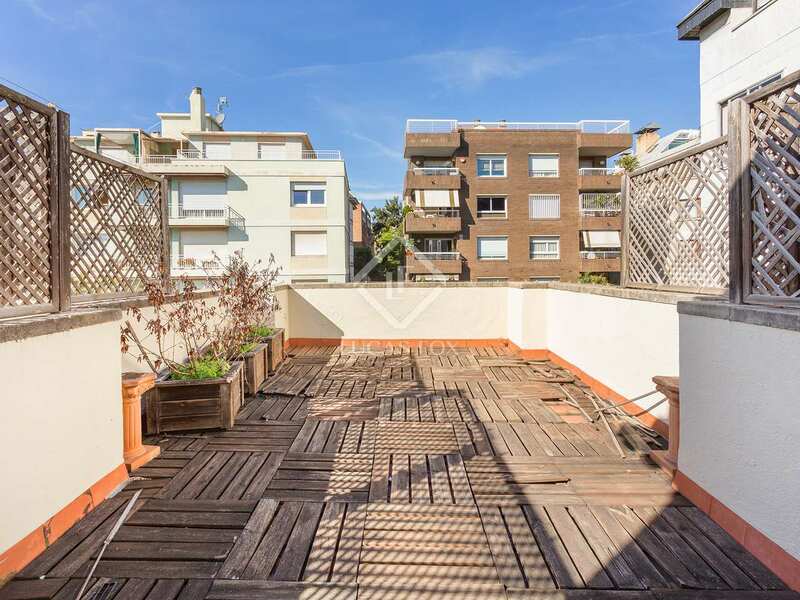 Property located in the heart of the Tres Torres neighbourhood in Barcelona's Zona Alta. 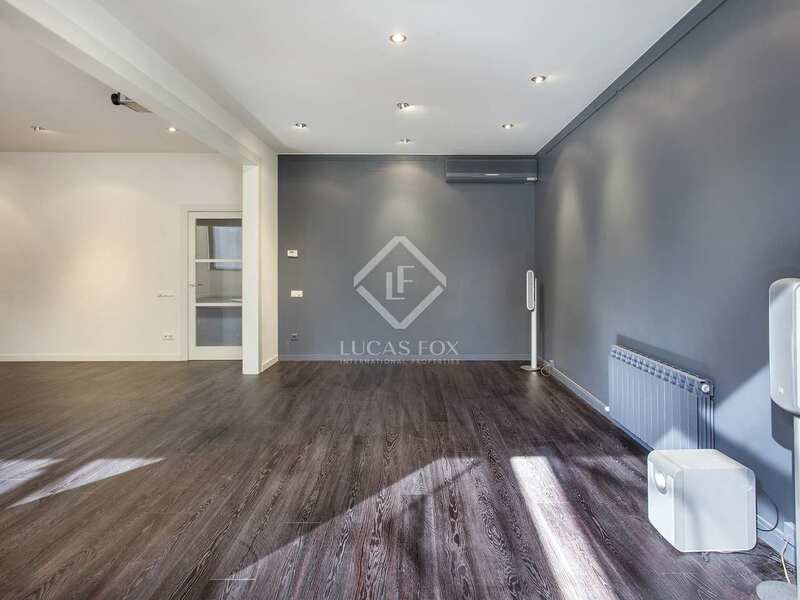 Close to the nearest ferrocarriles station as well as buses and the tram, the rest of the city can be reached easily by public transport. 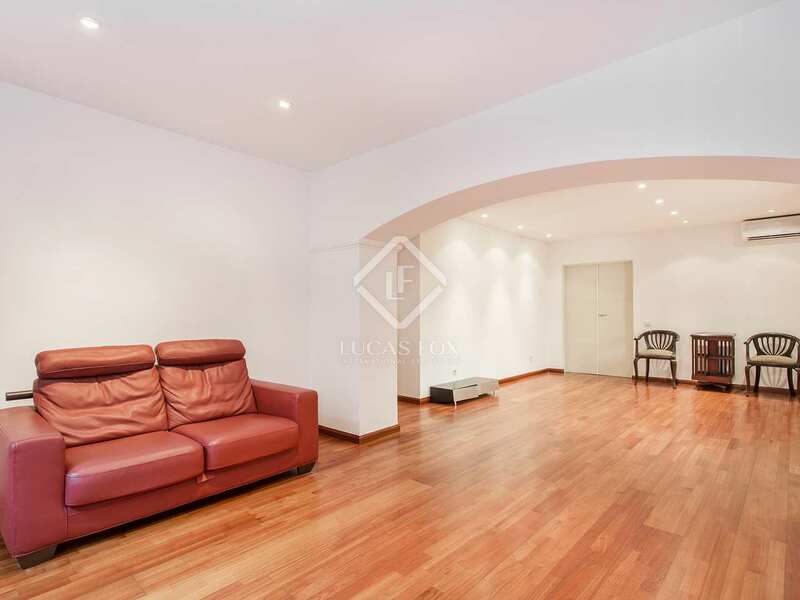 The Cinesa Diagonal leisure complex is close by as are a number of high quality schools and medical services.